A fantastically simple website to help you find bed and breakfasts in the UK. Start by using the main search at the top, or search by the map above. If you want to leave a review, find the B&B on the right. 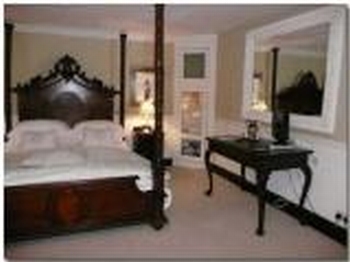 If you run a bed and breakfast in the UK, then please sign up to our website. The signup process is simple and most importantly it's FREE! Bed and Breakfasts sign up here! Lost and looking for a place to stay the night? Why not use our fantastic mobile phone version of the website, mobile.bedandbreakfast.uk. It's easy to find B&B's near your phones current location and give them a call! The availability will show against the room list below once it is set. Location. This wonderful Bed & Breakfast is situated in the Peak District village of Stanton, near Ashbourne. It is in an elevated position set in beautiful countryside with spectacular views. The idyllic village of Thorpe Thorpe Cloud/Dovedale is only 5 miles away and Tissington Tissington Trail is just a short drive. Alton Towers, The manifold Valley, Carsington Water are some of the fabulous Peak District places on the doorstep including Uttoxeter Race course, Chatsworth, Haddon Hall and Bakewell. 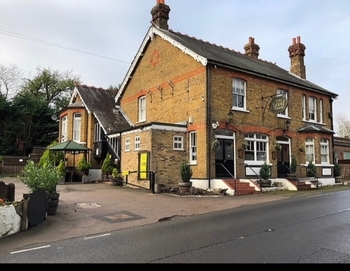 Bed & Breakfast Facilities This beautiful Farm house is all you would imagine with full beamed ceilings, open log fires and original floorboards, and has all the warmth and comfort you could possibly need for that relaxing retreat. It has three rooms and can sleep up to 6 people. BEDROOMS Four Poster King-sized Room The very spacious double bedroom has a wealth of character and decorated with elegant subtle decor. 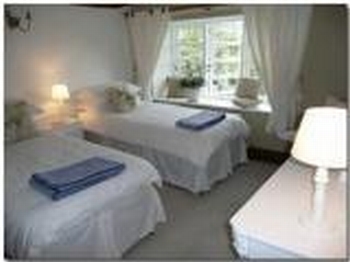 It has a king-size four poster bed made with crisp white sheets, and beautiful views to wake up to. A seating area with TV/DVD a selection of DVD’s on request Kettle with tea/ coffee, iron and hairdryer are provided. There is an adjoining shower/bathroom. Tariff is £40 pppn One Twin Room Every room in this bed and breakfast is beautifully decorated, with the very best care and attention to detail and this room is no exception. Kettle with tea/coffee, iron and hairdryer are provided. Adjoining shower/ bathroom. Tariff is £35 pppn One Bunk Bed Room Two beds in the bunk, room enough still to enjoy your stay in this beautiful house at a value price! Tariff is £15 pppn A £15 single supplement applies Minimum 2 night stay over the weekends All prices include a delicious breakfast prepared using locally sourced ingredients, including their own free range eggs when available. BREAKFAST is served in the conservatory where you can continue to enjoy the fantastic views.....just what you need to start the day! Selections of cereal and juice are available with full English, toast and tea/coffee or maybe something a little lighter. RESIDENTS LOUNGE It is called the snug, but there is nothing small about this beautiful room. Everything you need is at hand to relax away from it all. Bookings made more than 1 month in advance are subject to a £15pppn deposit followed by a further payment 1 month before your stay. To make your stay with them even more special they offer a full range of Extra Features which you can pre-order, such as handmade chocolates or chilled Champagne on arrival. Please see our Luxury Extras below for more information. Cheques payable to Sara Thompson Special Occasions & Luxury Extra’s If you are celebrating a special occasion i.e. wedding anniversary, birthday or wedding night please let them know by prior arrangement and those meaningful little extras can be booked such as Champagne on ice with strawberries, a bouquet of flowers or maybe something else you would like to arrange. Delicious Packed Lunches These can be supplied for walkers and riders by prior arrangement. Horses They can cater for 2 horses in the winter and up to 4 horses in the summer. DIY or Livery is available. No food included. Please speak to Sara for more details This really is an amazing house and gardens, the perfect retreat for your get away to luxury and relaxation! There are some magnificent walks over amazing open fields and woodland from the house which can take you for miles!